A memorandum of understanding was signed between University of Illinois (UoI) at Urbana-Champaign and IRRI on 26 October, during the 150th anniversary of the Morrill Act, which established Land Grant universities such as Illinois. UoI was represented by Phillis Wise, vice president and chancellor of the university. Pradeep Khanna, associate chancellor, was also present during the signing. From IRRI and GRiSP, Robert Zeigler (IRRI director general), V. Bruce J. Tolentino (deputy director general for communications and partnerships), and Bas Bouman (GRiSP director) are attending the week-long event to discuss progress across CGIAR to reshape research so that it better answers the needs of resource-poor smallholder farmers and fosters rapid rural development. 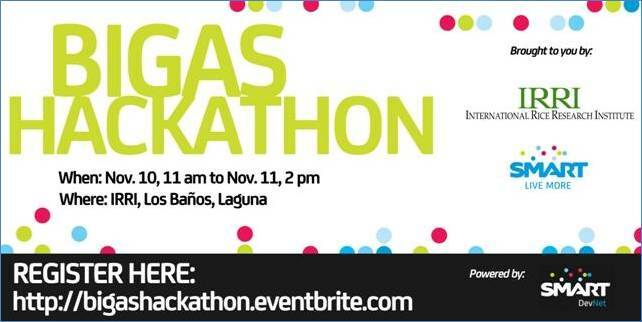 The International Rice Research Institute (IRRI) and SMART Communications are holding Bigas Hackathon 10-11 November in Los Baños as one of the activities prepared by IRRI for Rice Awareness Month. The Hackathon is open to computer programmers, software developers, graphic designers, interface designers, enthusiasts, or anyone who thinks their genius could help make rice research a little better. The Rice Blast Workshop is ongoing (29-31 October 2012) at IRRI as an offshoot of the fifth annual meeting of the Temperate Rice Research Consortium (TRRC) in September held in Turkey. 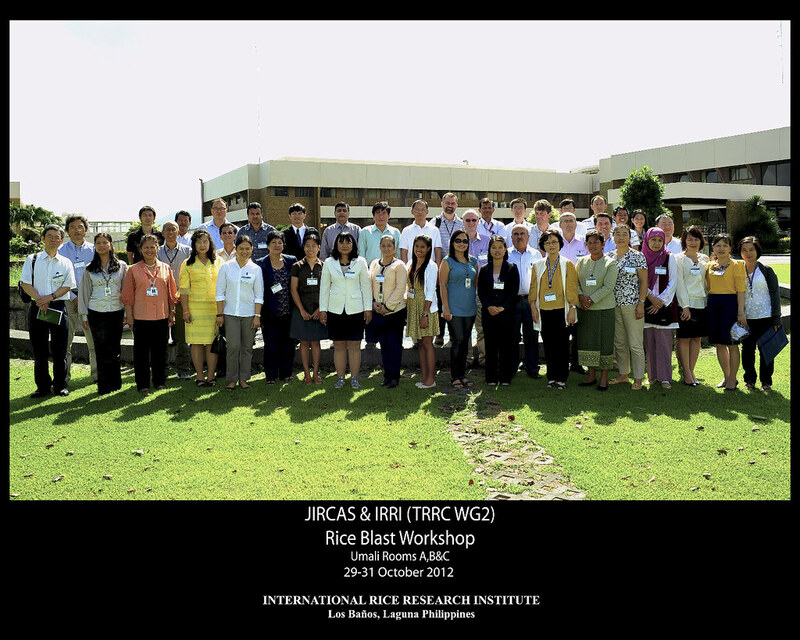 The workshop is a joint effort between TRRC Working Group 2 (with focus on biotic stresses, specifically rice blast) and the JIRCAS Blast Research Network. 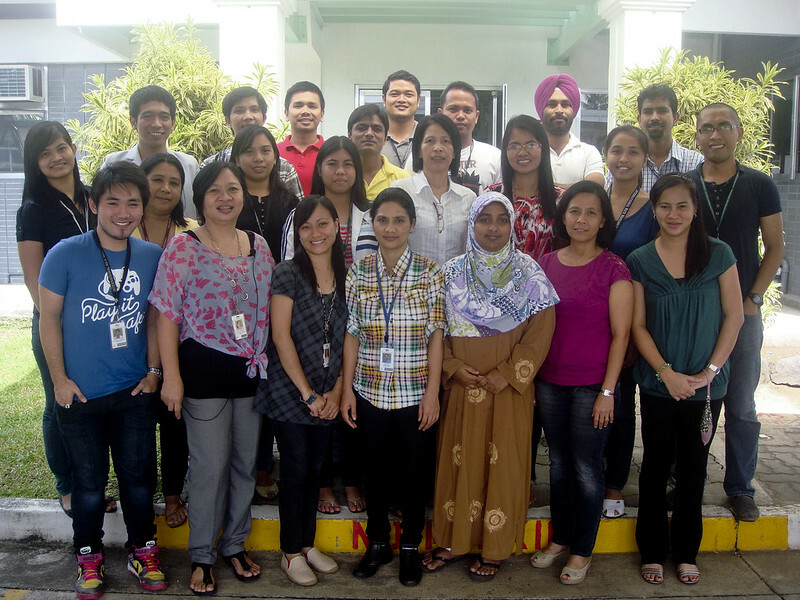 The workshop uses a parallel approach, looking at both pathological and breeding studies in rice blast research. 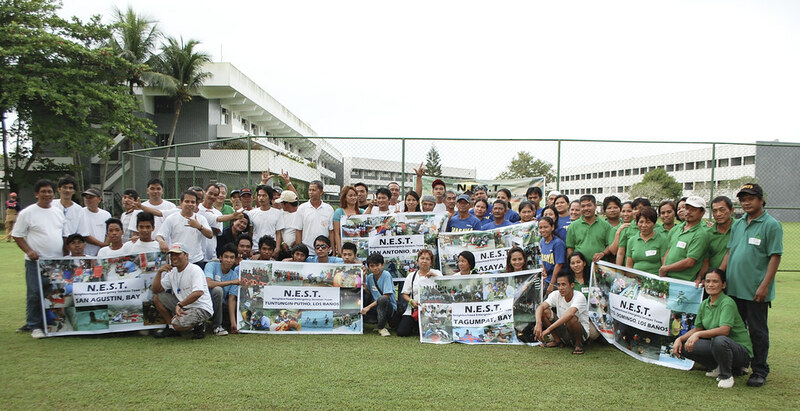 More than a hundred rice farmers from the Cordillera Region in Northern Philippines participated in simultaneous technoclinics held by IRRI and PhilRice scientists on 23-24 October 2012 in Pasil, Kalinga, and Hungduan, Ifugao. 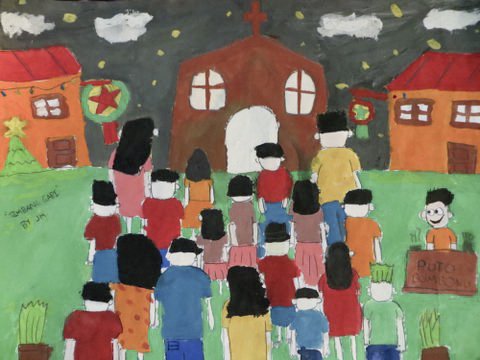 The 20 farmers who participated in the Hungduan technoclinic cited these among their farming problems: earthworms, rat infestation, zinc deficiency, blast, rice bugs, and stem borers. They admitted considering using poison on occasion to stop rats from damaging their crops. 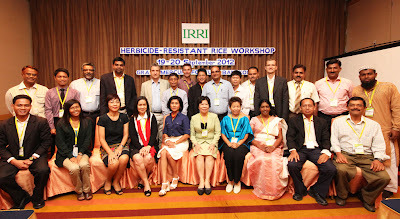 The IRRI Board of Trustees held its regular October meeting on 15-17 October 2012 in Shenzhen, China. The venue for the meeting was arranged with support extended by the Chinese Academy of Agriculture Sciences, Beijing Genomics Institute, Shenzhen Institute for Breeding and Innovation (SIBI), and the local governments of Shenzhen. 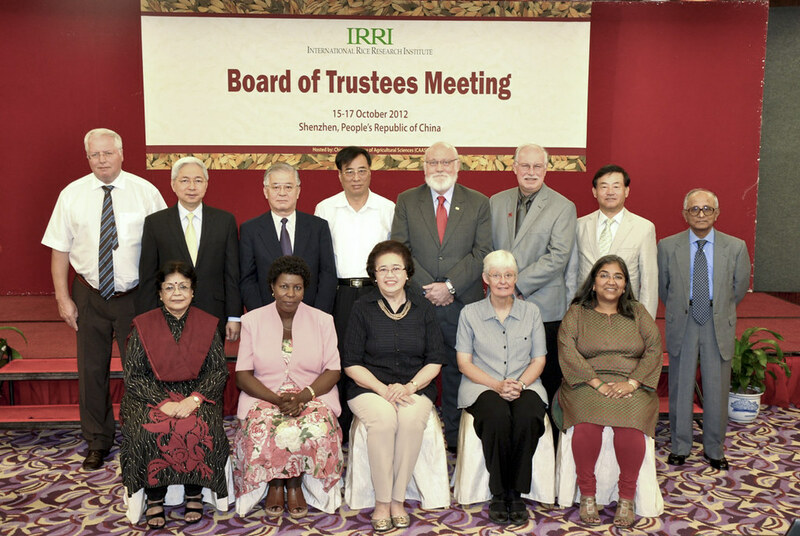 By the end of 2012, three Trustees complete their tenures on the IRRI Board—Jillian Lenné, Usha Zehr, and Mohammed Syeduzzaman. At the dinner hosted by BoT Chair Emerlinda Roman, the Board expressed their deep gratitude to the departing members for their distinguished service. 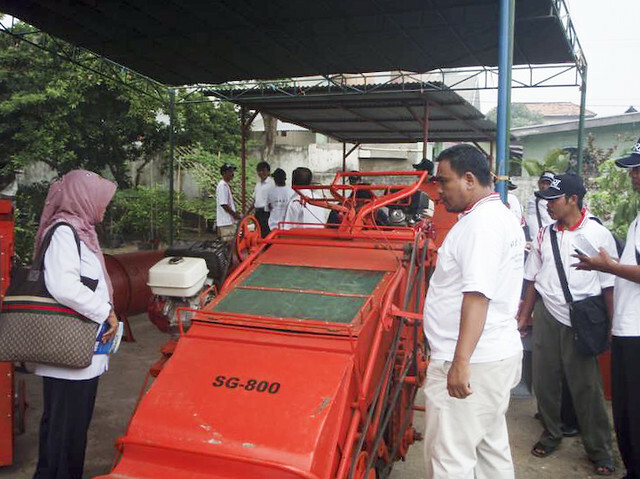 Makassar, Indonesia—A wrap-up meeting and writeshop were held on 15-16 October to formally close a project aimed at improving rice productivity in South and Southeast Sulawesi, Indonesia. Djafar Baco, project consultant, said in his welcome remarks that he hopes for continued collaboration between IRRI and Indonesia in the future, especially in South and Southeast Sulawesi. 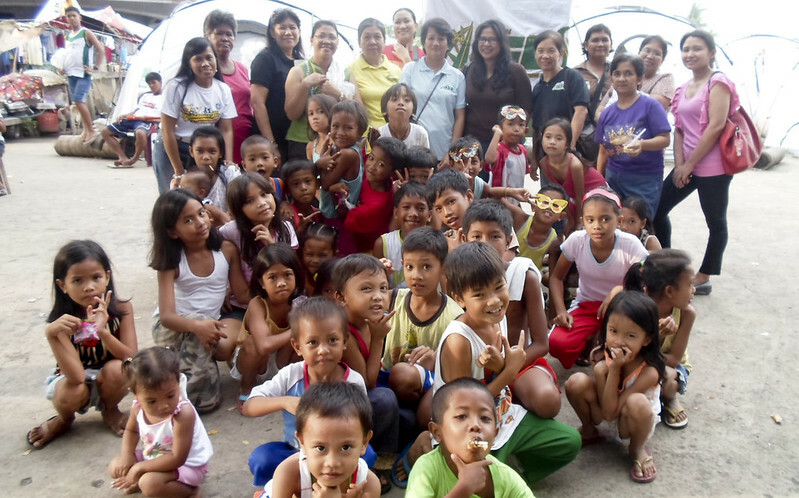 The Host Country and Community Relations Office sponsored Ganda Mo, Hanapbuhay Ko, a livelihood training course for women of Los Baños and Bay, the two towns that host the IRRI headquarters. 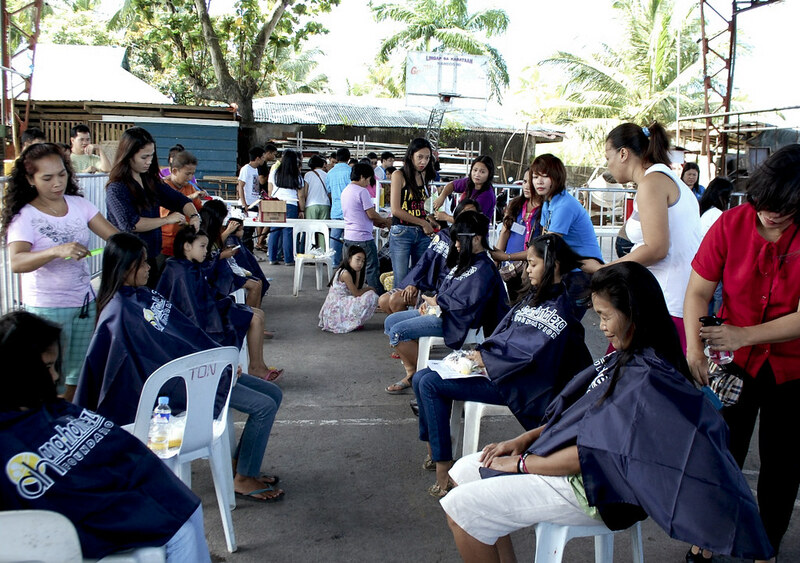 The 5-day (22-26 October 2012) skills training on basic cosmetology covered use of beauty tools, cutting hair for men and women, manicure, pedicure, footspa, hair perming, hot oil treatment, and hair coloring and highlighting, and was held for women who were interested in enhancing their livelihoods or add to their income. was guest during the 10 October YRL. 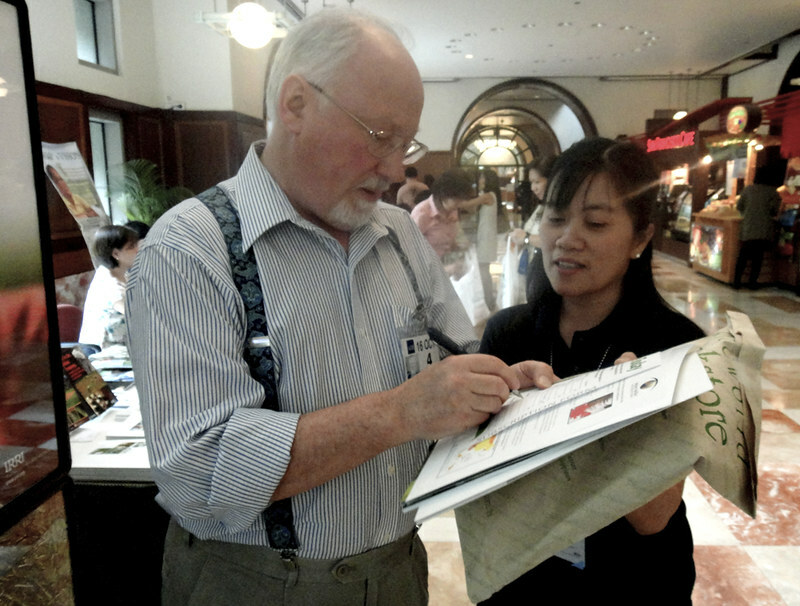 The flurry of activities in October at IRRI headquarters offered more opportunities for young IRRI researchers to chat with their more experienced seniors who were in town. 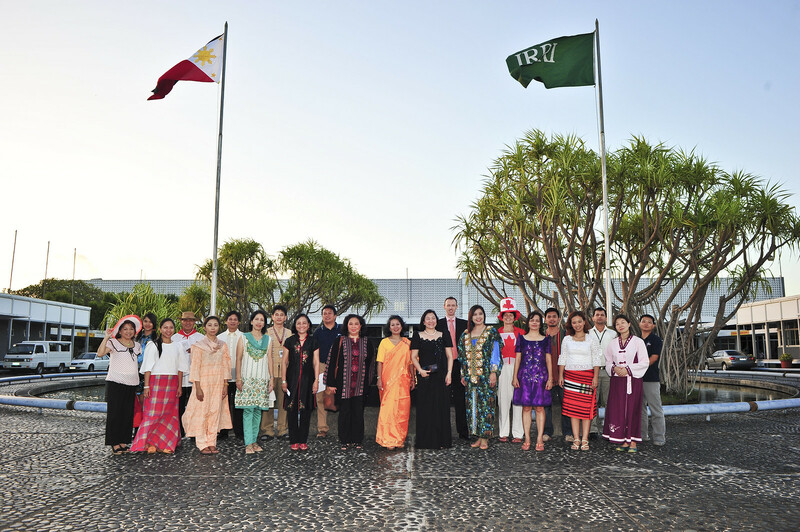 The IRRI and Los Baños Community Toastmasters Clubs (TMCs) hosted a joint induction of new members and a charter presentation on 22 October, held at the IRRI Dining Room. 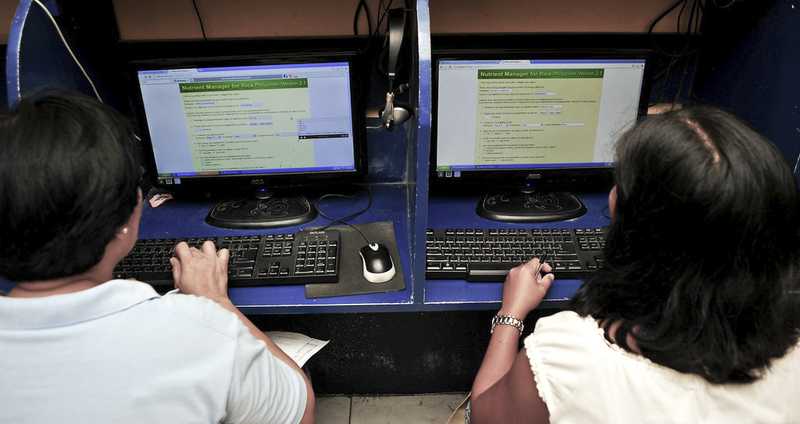 The Los Baños Community TMC is newly organized by the IRRI TMC for professionals in the surrounding communities who are interested in honing their communication and leadership skills. 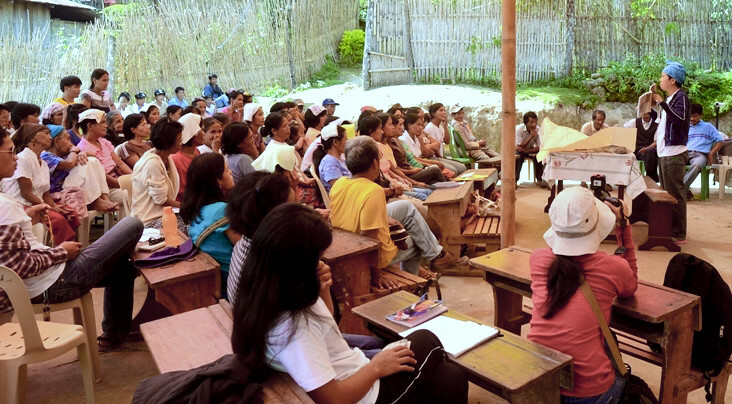 A series of training events on Nutrient Manager for Rice (NM Rice) was held for farmers and their children in four rainfed lowland rice-farming areas in the provinces of Tarlac, Pangasinan, and Nueva Ecija in the Philippines. 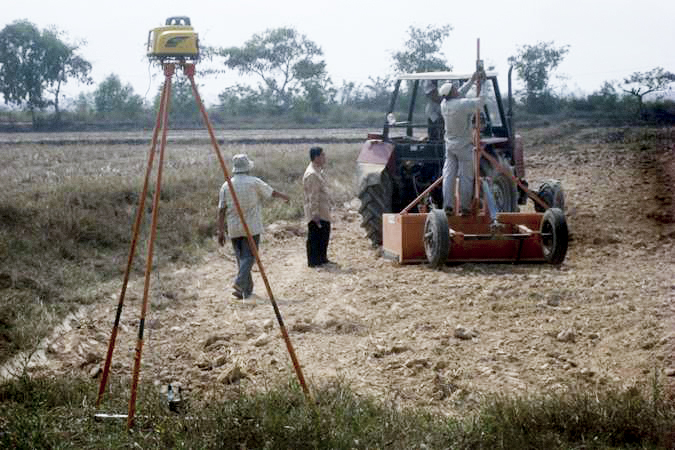 These were conducted under the project Improving livelihoods and overcoming poverty in the drought‐prone lowlands of Southeast Asia funded by the International Fund for Agricultural Development (IFAD). 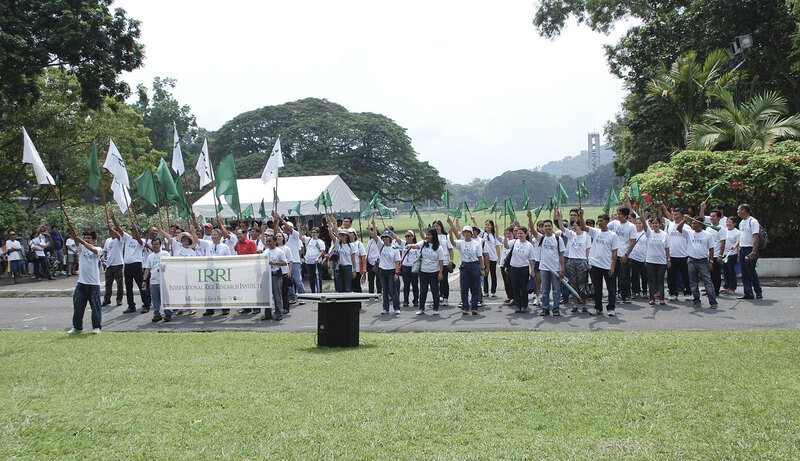 Close to a hundred IRRI employees celebrated with the University of the Philippines Los Baños (UPLB) alumni by joining the annual Loyalty Day parade on 10 October. 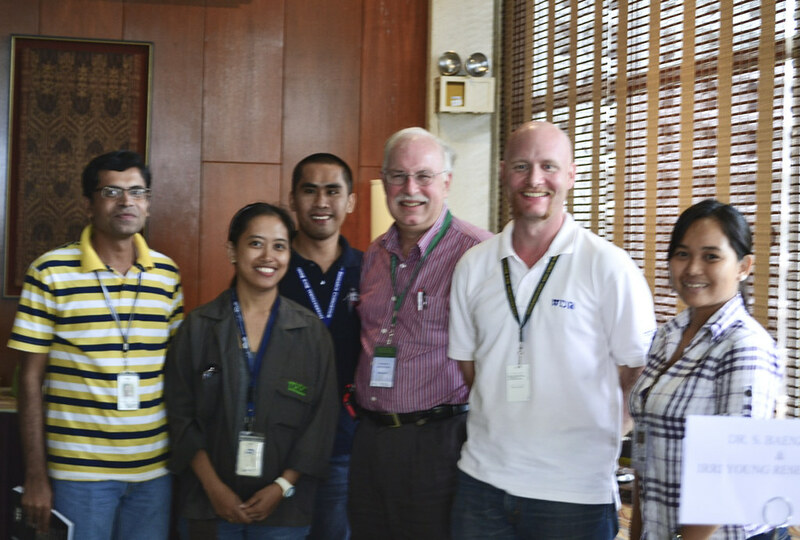 Deputy Director General for Communications and Partnerships V. Bruce J. Tolentino led the IRRI contingent. The Loyalty Day recalls events from 10 October 1918, when the former UP College of Agriculture, from the dean down to the last laborer, volunteered en masse for the Philippine National Guard to defend the country against aggressors. 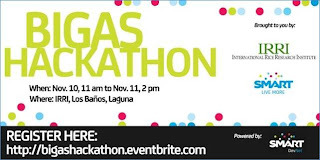 UPLB has since devoted the month of October for the commemoration of this valor. 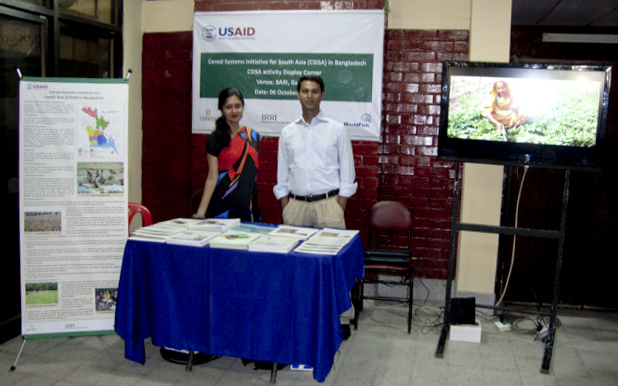 The Cereal Systems Initiative for South Asia in Bangladesh (CSISA-BD) took part in the 11th International Conference of the Bangladesh Society of Agronomy on 6 October 2012. 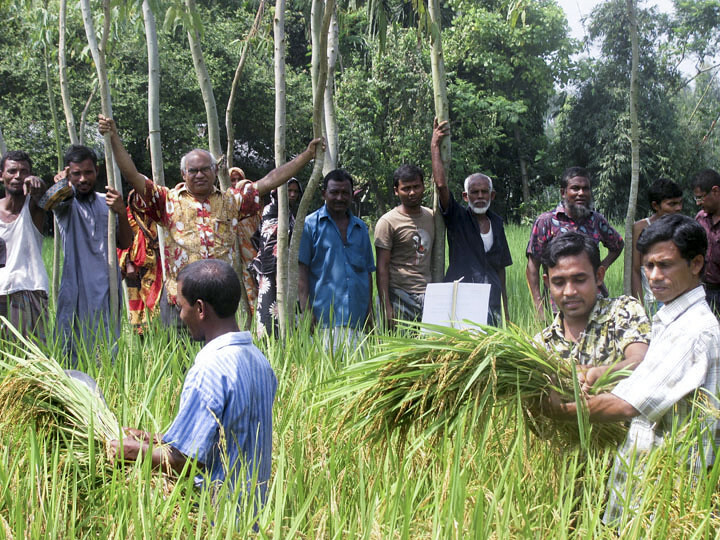 The theme of the conference was Advances in agronomic research under changing environment in Bangladesh. 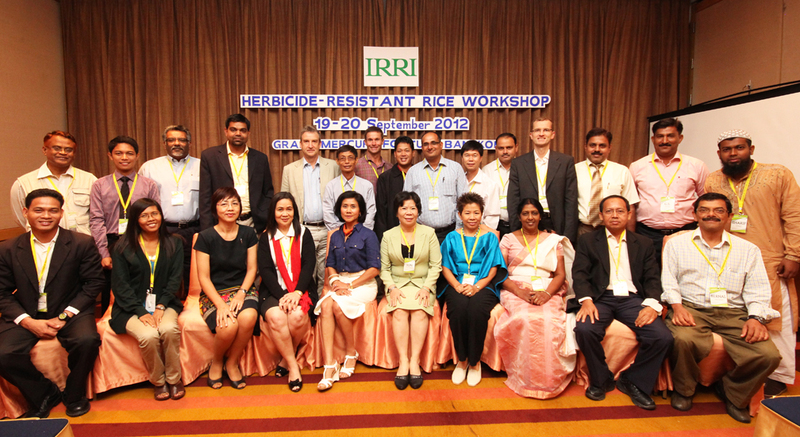 IRRI conducted the first herbicide-resistant rice (HRR) workshop for Asia in Bangkok, Thailand, on 19-20 September 2012. 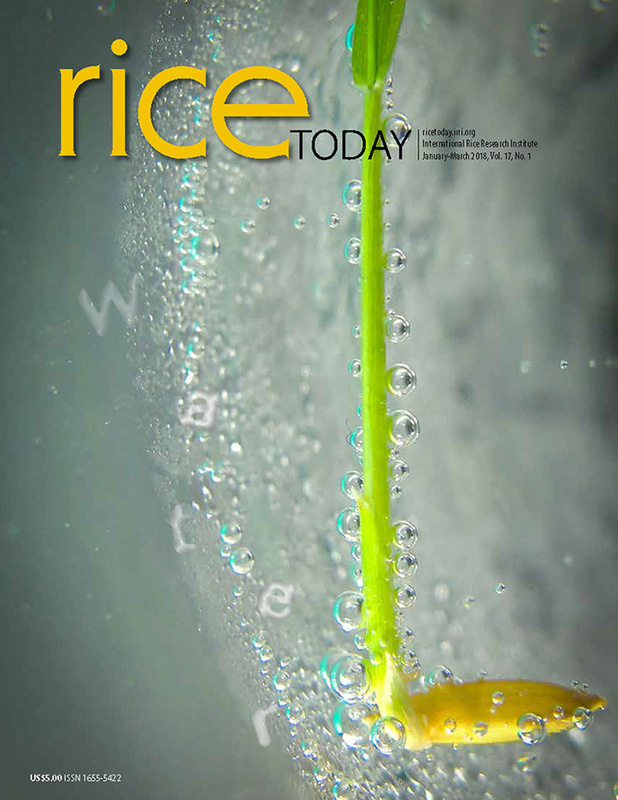 HRR is a cultivar of rice that is resistant to a particular herbicide or herbicides that would otherwise damage the rice crop. Herbicides can be sprayed on the resistant rice cultivar and destroy weeds without affecting the rice. 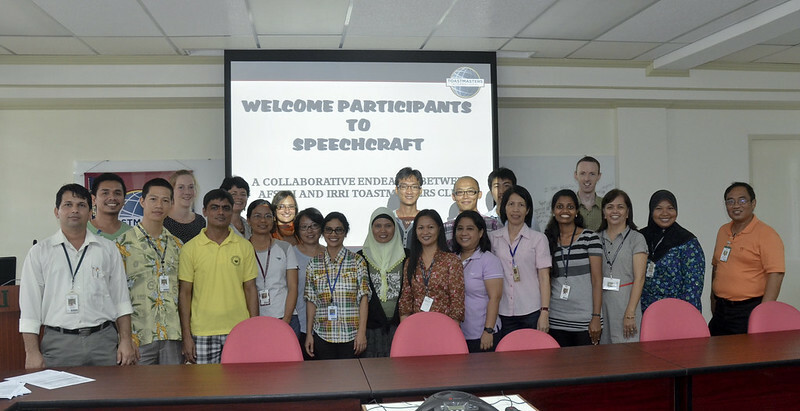 The Association of Fellows, Scholars, Trainees, and Residents in IRRI (AFSTRI) and the IRRI Toastmasters Club (I-TMC) held a 3-day speech craft course and public speaking immersion training. The Association of IRRI Secretaries and Administrative Staff, or AISAS, reached out to members of the local community affected by the flooding caused by the "Habagat rains" in August. 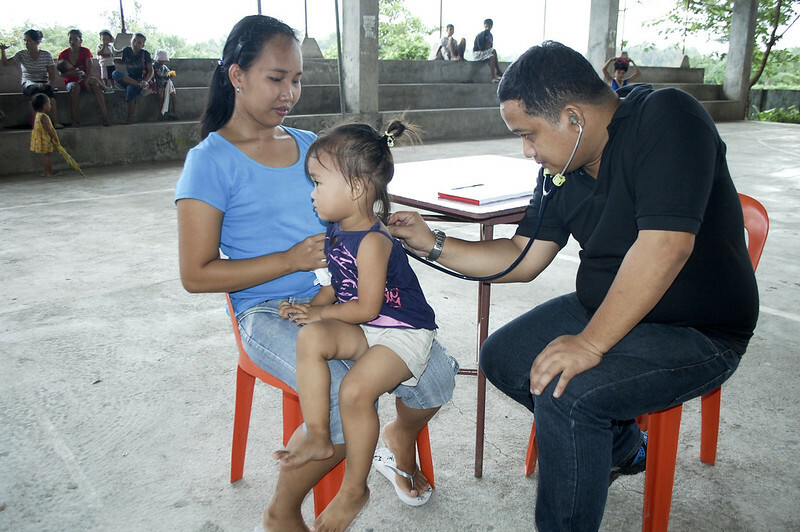 To help lower the incidence of common illnesses and increase health awareness and good practices among local residents who are of low income, IRRI's Host Country and Community Relations Office conducted its eighth Community Health Education and Medical Mission in Barangay Maahas in Los Baños, Laguna on 28 September 2012. 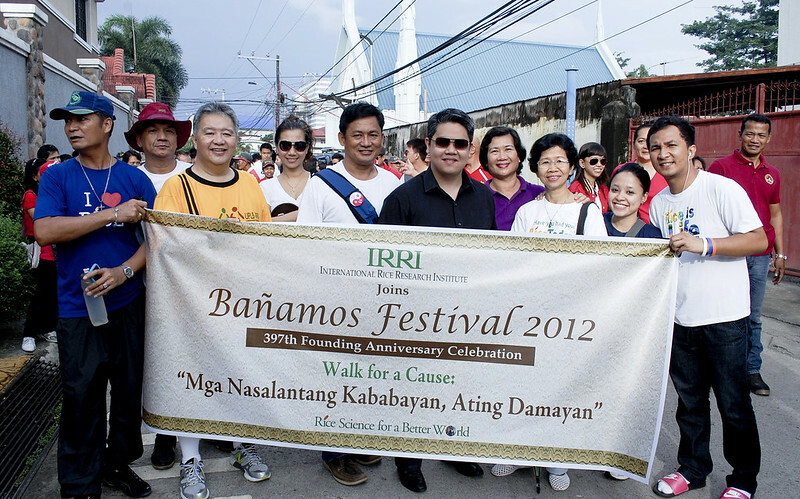 IRRI employees led by IRRI Deputy Director General for Communications and Partnerships V. Bruce J. Tolentino joined Los Baños' walk-for-a-cause that had the theme, Mga nasalantang kababayan, ating damayan, on 17 September. 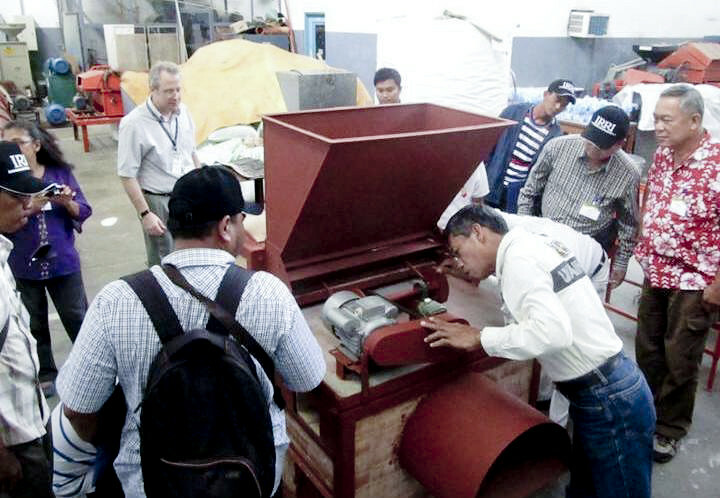 The Post-Production Work Group of the Irrigated Rice Research Consortium held a two-day seminar-orientation on rice postharvest technologies, in collaboration with the Balai Pengkajian Teknologi Pertanian (BPTP) in Palembang, South Sumatra.